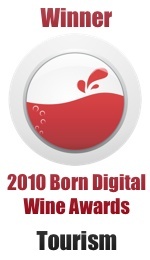 This entry was posted on Wednesday, November 21st, 2012 at 9:05 pm and is filed under Wine Tourism General. You can follow any responses to this entry through the RSS 2.0 feed. Both comments and pings are currently closed. Really enjoyed this piece Wink. As odd as it sounds, Swiss wines are just starting to find their way into retail with some attention. You idea about high altitude vineyards as a ‘category’ that can grab the consumers attention. Thanks, Arnold, yes this whole mountain/vine intersection around the Alps and nearby lower mountain ranges is fascinating. Ah yes, one day I would love to spend time re-discovering the high Valais vineyards and all that surrounds them! Alsace looks like a wonderful place to travel. Thank you for sharing this information. Especially about the Christmas Market. It suits the season..